“Above all, what matters is not to lose the joy of living in the fear of dying,” – Maggie Keswick Jencks, founder of Maggie’s Cancer Caring Centres. Cancer, first in 1988 then in 1993, came into Maggie’s life and her first-hand experience motivated her to make good use of her remaining days to create something better for other fellow patients and families. “Illness shrinks the patients’ confidence, and arriving for the first time at a [public] hospital is often a time of unnecessary anxiety. Simply finding your way around is exhausting,” she recalled, not to mention the “overhead lighting, interior spaces with no views out and miserable seating against the walls” that could be both physically and mentally draining. Maggie envisioned a place where patients could “sit in a pleasant, but by no means expensive room, with thoughtful lighting, a view out to trees…chairs and sofas arranged in various groupings [for] patients to relax and talk, away from home cares.” Also with tea and coffee available, a cancer library corner, and other useful information about cancer, its treatments, and general well-being. Maggie died on 8 July 1995, a year before the first Maggie’s Centre was built. But the blueprint she put together has become the groundwork for over 20 Maggie’s Centres in the UK today, and international centres including Hong Kong’s – albeit independent both financially and administratively from the UK centres. All Centres are committed to providing a place where people can find practical information on treatments, advice about benefits and eating well; a place where qualified experts provide emotional support; a place to meet other people; a place where one can simply sit quietly with a cup of tea. Every day new families across Hong Kong have their lives turned upside down by a cancer diagnosis, which brings along tough questions, exhausting treatments and difficult emotions. Over 2,500 new cancer diagnosis cases have been recorded each month in Hong Kong (Statistics from Hong Kong Cancer Registry) and this number is expected to grow, affecting more people than ever before, including young adults and children. Twopresents has been a great platform to spread the message of cancer awareness to society and Maggie’s is grateful to all kind-hearted parents and children for their love and support. Generous donations have helped Maggie’s to continue offering free cancer support to families in need. Donations from individuals and the community are ways to support cancer care services and help keep the Centre’s doors open. A regular monthly gift to Maggie’s will build and help to provide expert, professional support to everyone with cancer, when they need it most. To learn more about Maggie’s services and to contribute a monthly gift, please visit www.maggiescentre.org.hk. 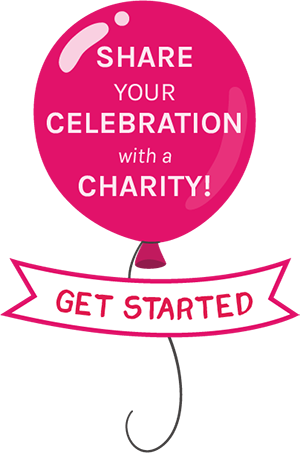 Contributions will help more people to live with, through and beyond cancer.